Capri pants are extremely adaptable. 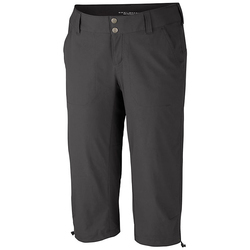 They provide becoming coverage while keeping you cooler in hot weather than long pants. Capris are available in a diversity of different styles. Tight and stretchy versions are marvelous for yoga, dance, running and many other types of exercise. Looser styles – which often come in khaki, tan and black colors – are flawless for hiking, camping, traveling or other casual activities. Modernized fabrics come with multitudinous benefits, such as the ability to wick sweat, UV ray protection, water repellent finishes and the ability to stretch. 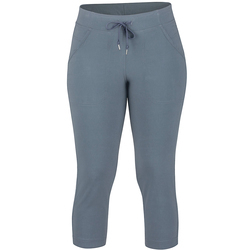 Some capris are made with cozy terry or sweat pant material, perfect for lounging or sleeping. Distinguished women's capri brands include Orage, Aventura, Patagonia, Burton Snowboards, Ex Officio, Insight, Watergirl, Volcom,The North Face, Salomon, Royal Robbins, SOYBU, Roxy, Prana, Mountain Hardwear, Outdoor Research, LoLe and Marmot.